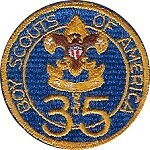 I don't believe that scouting would be the same today if it were not for my outstanding Scoutmaster, Mr. Don Emberson. 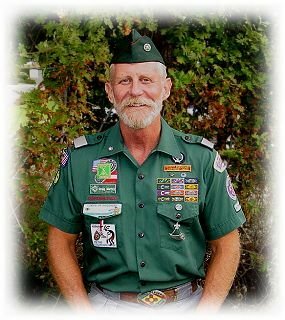 He was Scoutmaster of Troop 997 in Hollywood Riviera, California. I joined the troop at the beginning of my eighth grade and I am proud to say that 28 months later, I passed my Eagle Board of Review. My real highlight came in 1963 when I became an exchange student to Dunedin, New Zealand. My New Zealand brothers, Max and Mike Cooper, were both Queen Scouts so I got to enjoy scouting in New Zealand with them. That year, the Queen of England visited New Zealand. Scouts were asked to be the honor guard at a park in Dunedin. As one of the honor guard and in my Eagle Scout uniform, I was introduced to the Queen. Quite an honor at the time. 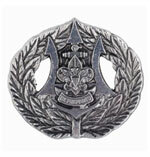 The black world crest above represents my scouting in New Zealand. 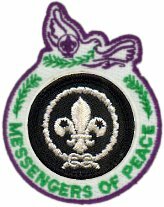 New Zealand Scouts now use the purple and white world crest but before the change, they used the black and white world crest. 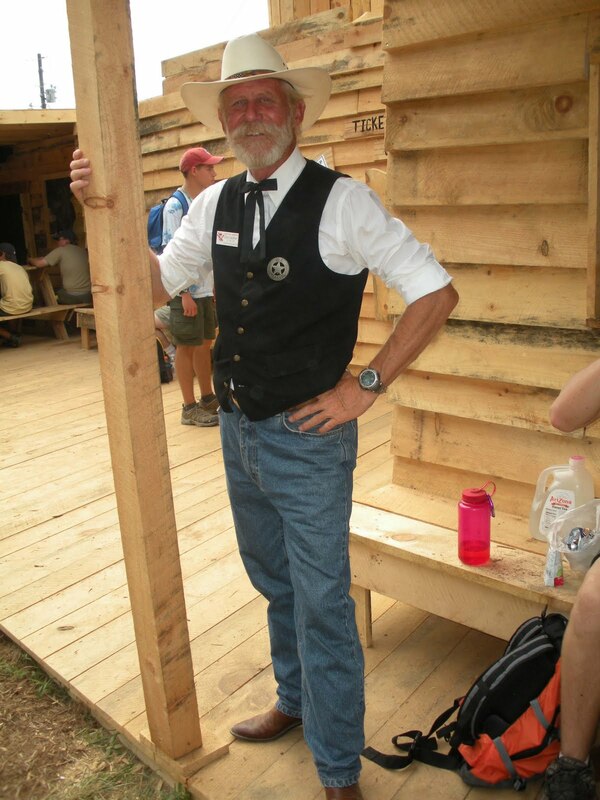 My favorite activities were backpacking, cycling and whitewater rafting. I have over 1,200 backpacking miles which include Mt. Whitney, the Grand Canyon (rim to rim to rim), and the Austrian Alps. I have over 20,000 miles cycling plus a great cycling trip in France with my son. I was the course director for 6 Kodiak whitewater treks and have rafted the Grand Canyon. All the rafting activities were with my friend, Joe Garrett. Through Kodiak and rafting, Joe and I brought many great years to our young adults. As an Advisor, I took with my Post/Crew to the 1995 New Zealand Venture, 1997 Canadian Jamboree, 2000 Australian Venture, Begegnung 2002 in Austria and have served as a leader for a number of other international activities out of Western Region. I was a Western Region Associate Advisor at the 2007 World Jamboree and a leader for the 2012 Ukraine International Scout Jubilee. My most recent international activities were as an IST at the 2016-17 JamCam in Ecuador, as an IST at the 2017 Asia Pacific Regional Scout Jamboree in Mongolia and and IST at the 2018 Peru Moot. PTC Faculty - "How to Develop Crews That Thrive"
Somerton, David and Murray, Craig, Field Guide to the Fish of Puget Sound and the Northwest Coast. Seattle: University of Washington Press, 1976. Helped develop Think Earth which was awarded "The President's 1992 Environment and Conservation Challenge Award" for fostering cooperative approaches to environmental needs at the local, regional, or national level. Helped develop the video Discovering The Angeles, a video to heighten public awareness and appreciation of the wildland resources of Southern California. Provided statistical analysis for the Mohave generating station plum effluent that allowed SCE to continue running the plant. Developed a tracking program for schedule adherence in the call center at SCE. The tracking program greatly increased productivity. Was nominated by the San Gabriel Mountains Regional Conservancy (www.sgmrc.org) and receive the Hornaday Gold Medal.